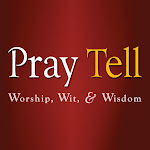 The early Methodist settlers of the Butler County area were ministered to by traveling ministers as early as 1871. 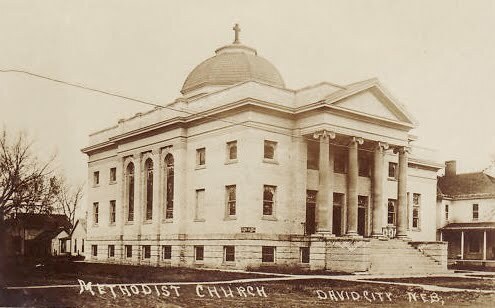 The first Methodist church in David City was constructed in 1874. The current St. Luke Methodist Church was dedicated on May 7, 1911. A more detailed history of the congregation is available at the church's website. 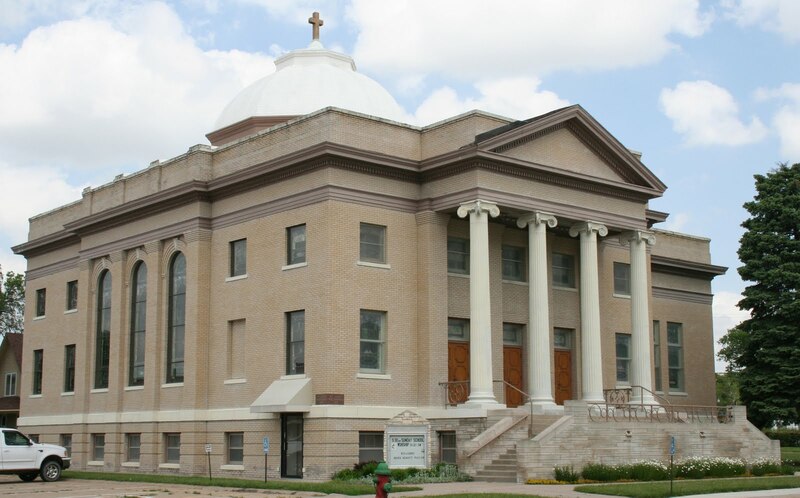 The exterior of the Neoclassical style church building has changed very little since it was constructed in 1910. It's not often you see a church in Nebraska with such a sizable dome, so I was quite excited to see the interior! The church has a great sense of verticality, despite having a flat roof. 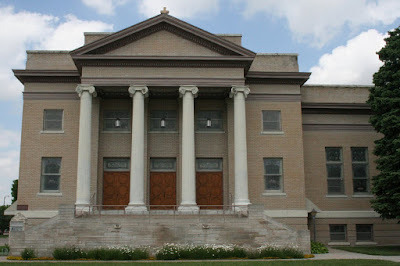 The front portico with its massive columns and ionic capitals grace the main entry. The first thing that struck me about the interior was the conspicuous lack of a dome! I was told by church members that it had been covered over with a false ceiling sometime in the 1960s in order to conserve energy. What I wouldn't give to explore the attic of this church! Despite the obvious lack of a dome, the church interior is quite pleasant. 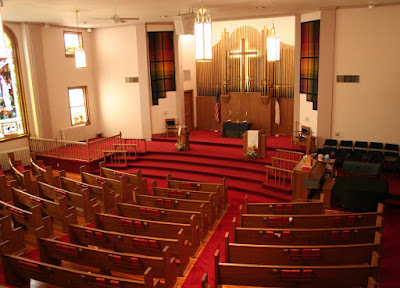 The contemporary banners and altar covering are a nice touch. I'm told that the pipe organ is no longer in working order. 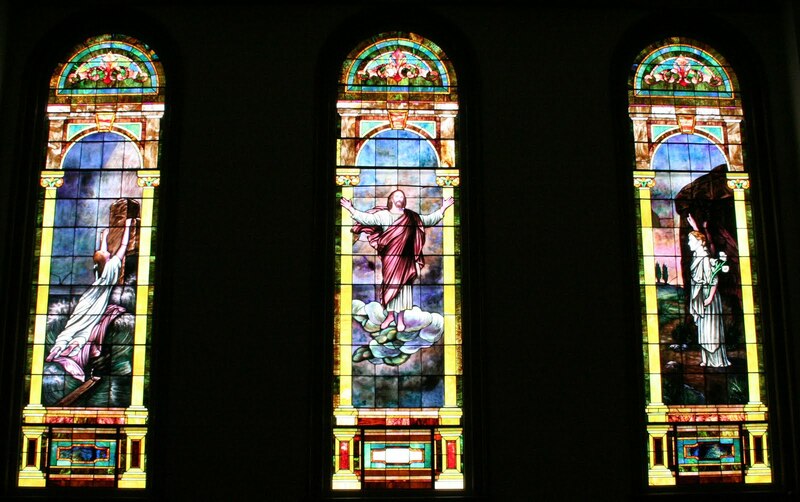 The true treasure of St. Luke's is the trio of stained glass windows on the west wall of the nave. Depicted from left to right: the allegory of Hope, the Ascension, and the Angel at the empty tomb. These windows were recently restored. 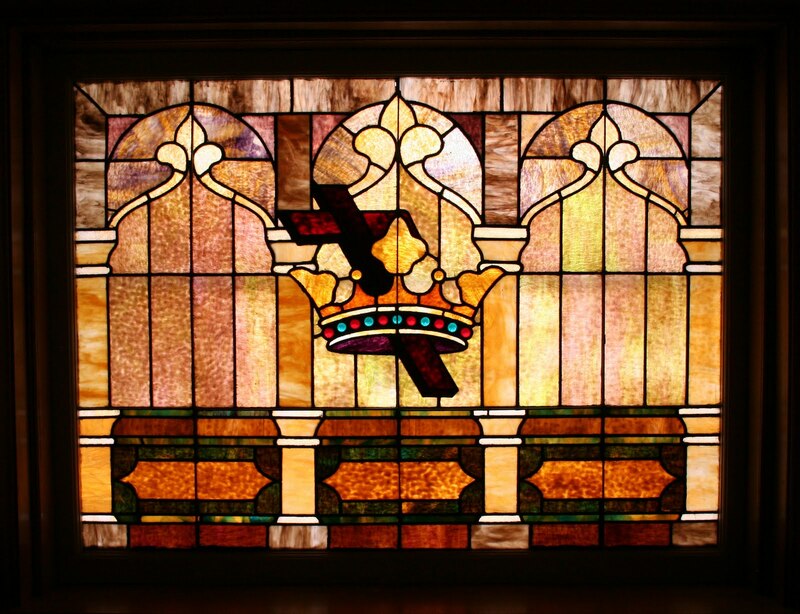 The other windows in the church are much more subdued and are executed in various shades of amber glass.